Key threat detection technology solutions offer unparalleled visibility into potential threats and support a layered security approach for superior employee screening. Despite the fact that airport staff must pass background checks, the insider threat centres on access to secure sectors – which theoretically, is strictly controlled. However, in the last few years we have seen many shocking (and sometimes deadly) examples of employee access being misused to smuggle drugs, weapons or explosive devices. In 2014, federal authorities broke up a gun-smuggling ring operating in Atlanta’s Hartsfield-Jackson airport. The following year, an employee at Egypt’s Sharm el-Sheikh airport was suspected of placing a homemade explosive device on Metrojet flight 9268, which exploded midflight killing all 224 people on board. In 2016, a flight attendant at LAX was discovered trying to smuggle over 70 pounds of drugs in her baggage. According to the Wall Street Journal, around 950,000 employees across over 450 U.S. airports can use their credentials to access secure areas of an airport with little or no additional screening. This series of articles explores how airport security can better protect travellers, staff and facilities from the insider threat. The insider threat at airports can mean smuggling drugs, weapons and or even explosive devices for potential terrorist use, into the airport complex or on to commercial aircraft. In order to stop this, airport security first needs to be able to see the threat and a full suite of technologies is currently available to help them do just that. 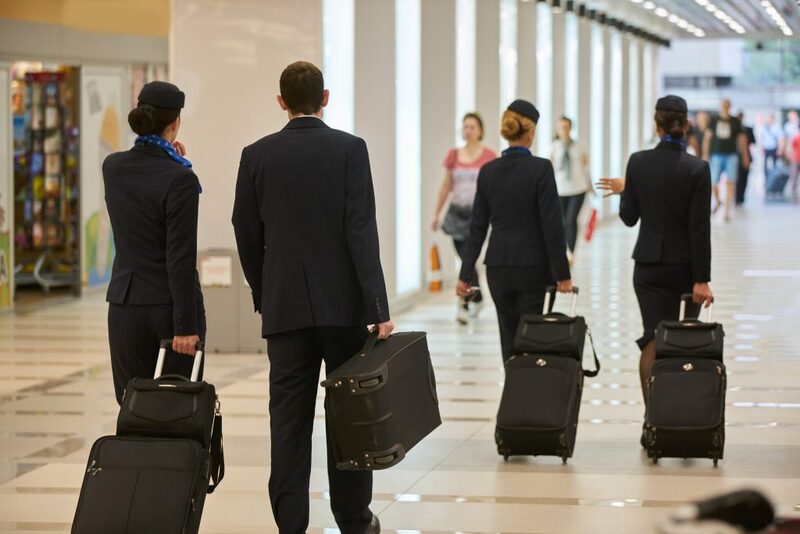 When used together, these technologies can significantly enhance the ability of airport authorities to see potential insider threats and utilise secondary screening for further investigation. X-ray technology has been at the core of detection for over a century and for the last four decades, Smiths Detection has been a leader in applying that technology in solutions specifically designed for use in airport security. In fact, our Advanced Technology (AT) X-ray systems are used at airport passenger checkpoints around the world to detect threats – and have also become a leading technology for employee screening. Offering the most complete picture available of what is in – even hidden within – a bag or package makes X-ray technology a top choice for threat detection and Smiths Detection’s aTiX™ multiview X-ray is an excellent example. A single-view X-ray solution includes one generator producing one view from one angle and a dual-view X-ray solution offers two views but both deliver an incomplete image. However, as the name suggests, the aTiX multiview has four generators positioned to offer an almost complete image of any contents, with objects concealed from one view, clearly captured by another. Multiview X-ray also provides operators with views around clutter within bags or packages which reduces the need for rescans or manual searches and keeps staff moving efficiently. Another critical feature of Smiths Detection multiview X-ray systems is the automatic detection of both solid and liquid explosives. The material origin of any contents are colour shaded on the operator’s screen for easy identification. Clear colour and brightness distinctions between organic and inorganic substances help operators make timely and informed choices about which items – and the employees carrying them — need additional screening. When it comes to seeing the threat, the aTiX system has proven a leading choice for airport operators because it offers the clearest views to support effective employee screening. Some threats are so small they exist only at microscopic levels and cannot even be seen by the most powerful X-ray solutions. For example, explosive residue may be present on a staff member’s hands as they attempt to move into a secure part of the airport. For airport operators, seeing this threat requires an even closer look. To get that look, many airports have incorporated Smiths Detection’s TRACE-PRO™ into their suite of employee screening solutions. It is a hand-held, non-radioactive explosives trace detector designed for rapid and easy collection and analysis of samples from suspect items, materials or people. TRACE-PRO was developed to meet the requirements of the Military, emergency responders, law enforcement officers and security professionals facing the challenge of detecting explosives on multiple surfaces and in multiple locations. When someone is screened, a probe-based swab is run over their hands or the surface of anything they are carrying. The probe is then inserted into the TRACE-PRO which can tell the operator clearly and within seconds whether trace amounts of any common explosives have been detected – and, if so identify those explosives. It even includes a camera and GPS for immediate evidence collection. Detecting and identifying the existence of even trace amounts of explosives can trigger secondary screening for anyone who may have been in recent contact with explosive materials before that person reaches a secure area within an airport. Not all threats can be detected in a package or through residue left on hands, clothes or bags. Some are carried directly and covertly on an individual and can be just as dangerous. Cutting edge application of the electromagnetic spectrum can safely and clearly detect these threats. Millimeter-wave refers to that part of the electromagnetic spectrum which lies between radio waves and infrared and can uniquely pass transparently through lightweight materials such as clothing fabrics. This safe, non-ionising energy reflects from the body at different levels when objects are concealed beneath clothing. Smiths Detection developed an innovative technology which combines the use of millimeter-waves with sophisticated software algorithms to analyse data and locate concealed objects. The system consists of a flat-panel array producing high quality data which is processed through the automatic detection algorithms in real-time. The algorithms find the position of concealed objects and show the location to the system operator via a generic human graphic, hence identifying potential threats while preserving the privacy of people being scanned. The Smiths Detection eqo™ is the first ‘no moving parts’ people scanner suitable for mass employee screening. Compared to other systems, it has a smaller footprint which is particularly beneficial to airports with limited screening space. The fine resolution and high refresh rate allow the automatic detection engines in the eqo™ to produce a high probability of detection with a low false alarm rate, supporting employee efficiency. As noted in Part One of this series, concern about instituting employee screening to address the insider threat has centred on the impact it would have on efficiency and airport operations. If employees had to be screened many times throughout the day as they moved around and through various access points, would this slow them down? With decades of experience supporting passenger checkpoint screening, Smiths Detection knows that complete, networked solutions can deliver effective security while supporting operational efficiency. The technologies highlighted in this article operate at effective speeds. Many are also suitable for portable deployment, which is a critical part of successful deterrence at facilities such as airports. When properly deployed and operated, they can help improve security whilst maintaining the efficient movement of employees.